It's not always about the statement necklace, sometimes it's about the top. 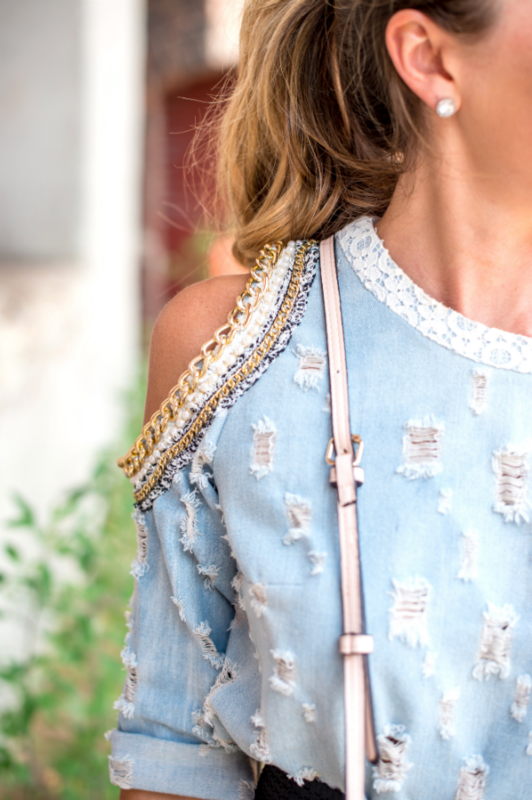 When I first laid eyes on this distressed top my denim-loving heart skipped a beat. I love the simple grating and shoulder chain cut-outs. 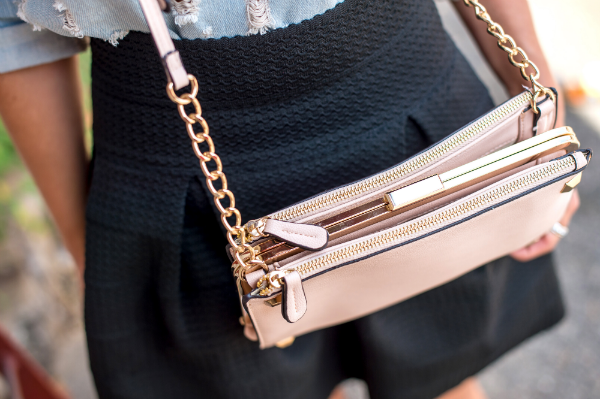 It exudes the chic off-duty look. Distressed denim pieces are not just for relaxed occasions, they are perfect for going out too! You can dress it up by pairing with a circle skirt and metallic pumps, or you can put on a pair of black slouchy trousers and slip-ons for a more casual outfit. Either way, keep the jewelry at minimum. There's already so much going on with a statement top, no need to distract the eye any further. The fun doesn't stop at denim. Statement tops come in all shapes, sizes, colors and textures. To shop more statement pieces click on the below Mavatar button. I promise you will love a few...or all of them ;). Seriously, your rockin this outfit. You look absolutely stunning. I'm totally in love with this outfit. The top is exotic and regal. Love love love! I die for this outfit, you look amazing! Hope we can get together soon.